See map below for location of North Texas Fairgrounds. Gates open at 7:00 AM for vendors and 8:00 AM for show vehicles. No earlier. Be patient and we’ll do our best to accommodate everyone. 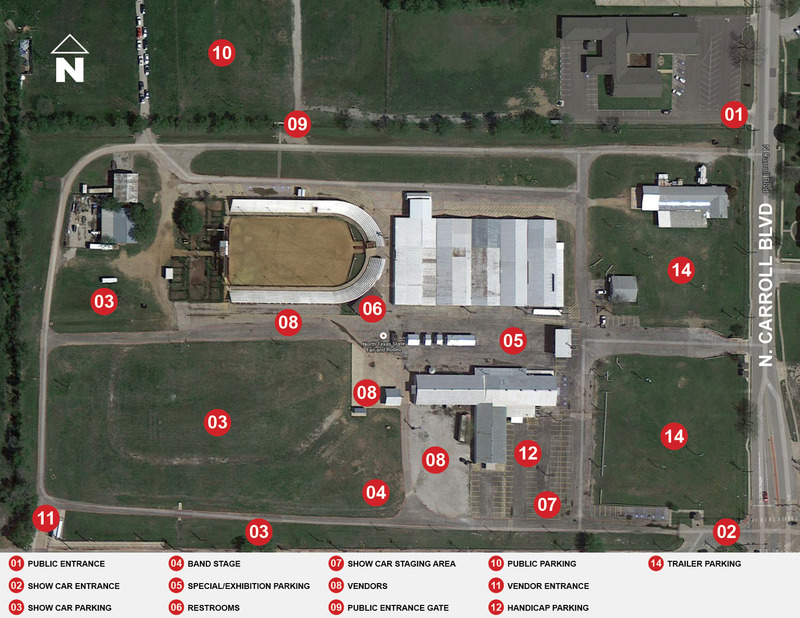 Please note: all spectators will be allowed to park just north of the fairgrounds and enter gate 9.